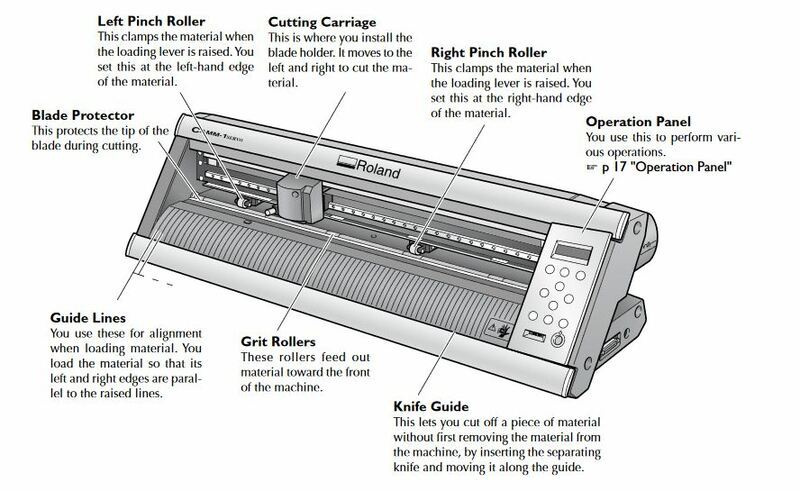 How to use paper cutter "Roland GX - 24"
Pinch roller Two are attached. Cut between the pinch rollers. You can move it with your hand with the lever in the up position. Cutter holder Here is the blade of the cutter. 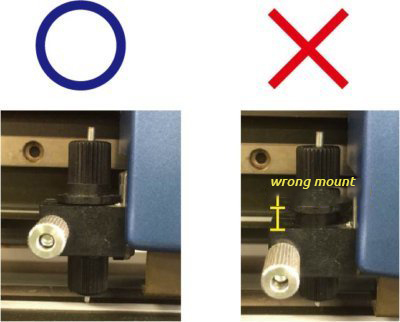 Place the pinch roller under the pinch roller position check mark. 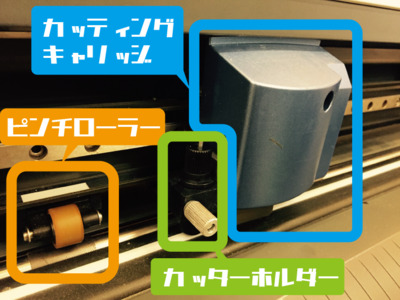 Since it can only be processed within the range sandwiched between pinch rollers, be sure to set pinch rollers at the position that matches the size you want to process! If you raise the lever swiftly, it may break. Operate the lever slowly. 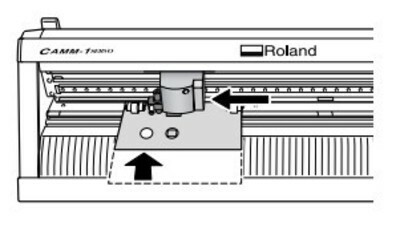 Insert the cutter holder while supporting the screw. 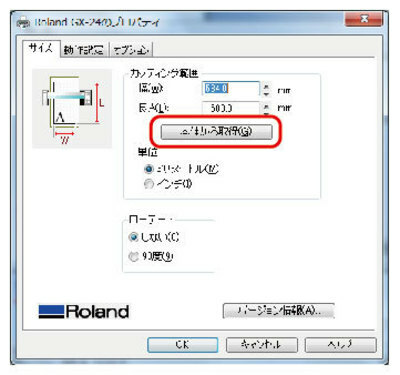 If it is properly inserted as shown in the picture OK. Basically, it does not take out because it adjusts the cutting condition with cutting pressure. 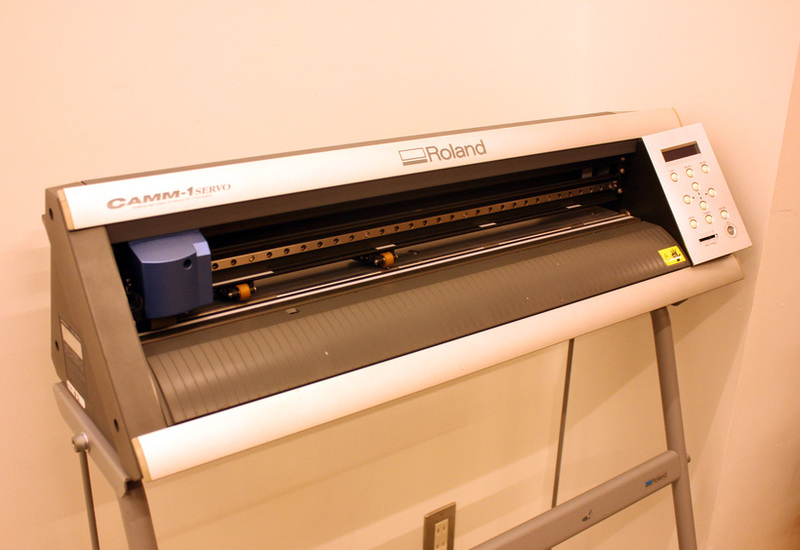 When you press the power button, the cutting carriage moves automatically. As it is displayed, just press the [ENTER] button. 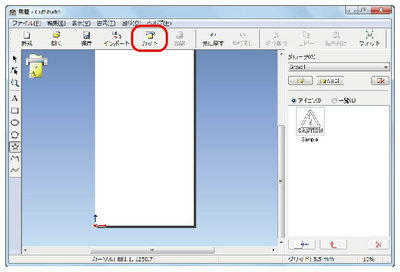 It automatically measures the length of the width of the sheet. Please note that it starts to move ※! 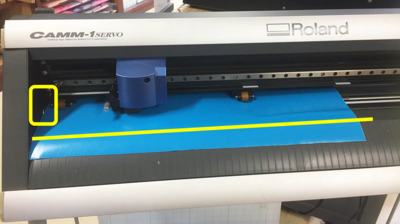 We need to do a test cut to be sure the pressure is the adecuate.If it is not cutting well enough, it is necessary to change the cutting pressure. 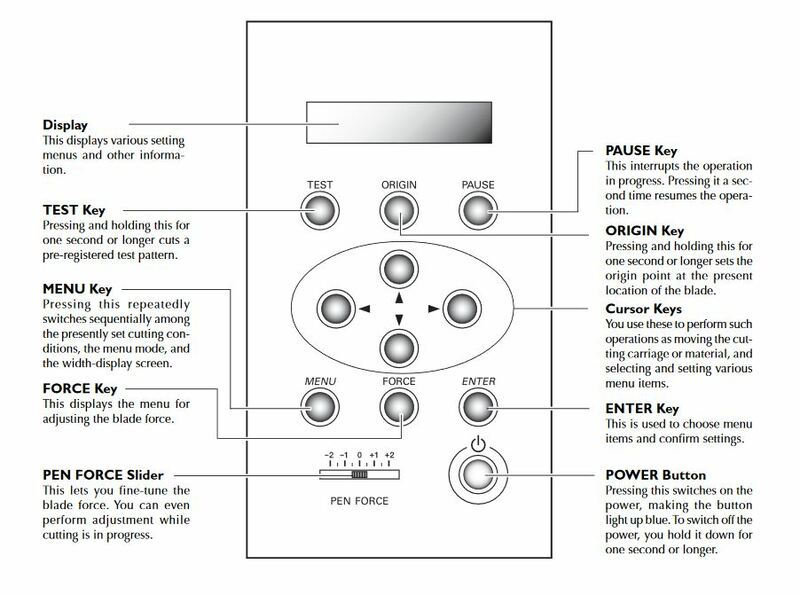 The way to do this is explained in the step 05 below. 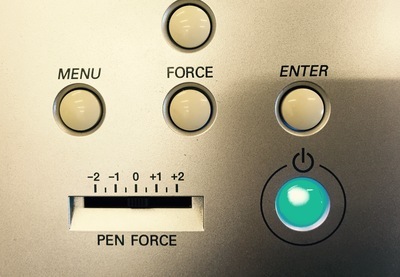 Set the scale of the knob of a place with the notation PEN FORCE to . Basically do not move! Peel off the cut figure with tweezers and check the cut condition. I would like to scratch a little on the lower support. [↑] [↓] button to set the value. 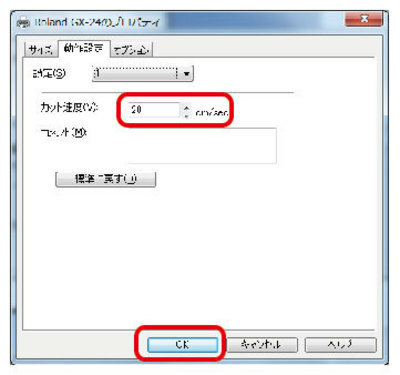 Decided by 【ENTER】 button. 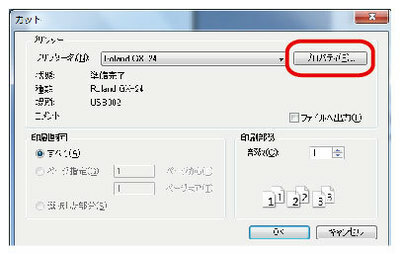 Return to the screen with 【MENU】 button or 【←】 button. The changed value is displayed. 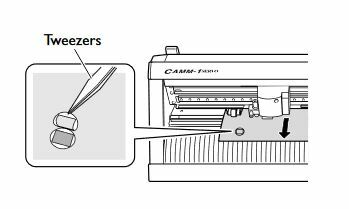 Repeat the above procedure until the test result is OK.
After cutting off and peeling off, it is ideal that it gently scratches the lower mount! 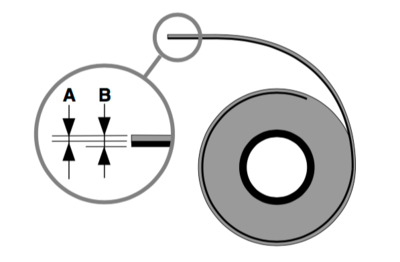 To determine the cutting position, set the origin. Do not overlap with the test cut place. Move the seat back so that the place where you cut the test comes before. 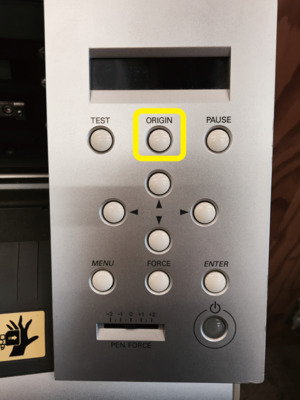 Press and hold [ORIGIN] for 1 second or more. 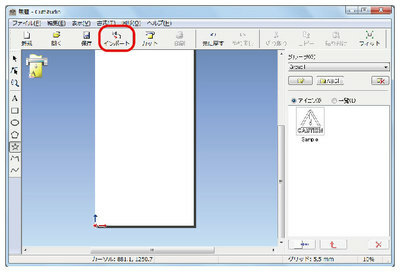 You can create and output data with CutStudio dedicated software. Here we describe the output of data. Connect the main unit and PC with a USB cable!